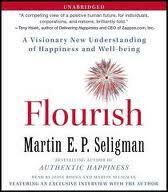 A reader of The Fulfillment Project suggested I read Martin Seligman's book Flourish. So I did. I'm remarkably suggestible that way. Send me your favorite book and you will soon find it on my to-read list. I know I promised you this would be a not-very-well researched blog about my quest to make my pretty good life better, but sometimes I can't help myself. I mean, a little research is okay, right? Especially when it yields treasure. Treasure, in the form of an idea, is what I found in Flourish. My favorite idea, so far, is the idea of writing down three things for which I am grateful. According to Mr. Seligman, it's not enough to verbalize your gratitude. You have to write it down. It can be big things, like I'm grateful for my healthy family or little things, like I'm grateful for peppermint hot chocolate. The most important thing is that it be specific. This idea seems especially appropriate during the holiday season when most of us rush from one place to the next without taking time to let the good things sink in. What better way to celebrate than by writing down a daily list of three things for which I am grateful? But first, a little more about this exercise. It was first tested on people suffering from severe depression (meaning they had trouble getting out of bed). Within a few months of writing in a gratitude journal something like 95% of the subjects were categorized as only mildly depressed. I'm hardly ever depressed so this should fit nicely with my goal of making my pretty good life a little bit better. Not only that, we already kinda do this as a family. My kids call it poopsicle and popsicle. Every night we go around the table and say one bad thing (the poopsicle) and one good thing (the popsicle). I've noticed that, in general, my husband and I always have a poopsicle. A lot of times the kids don't have anything at all...apparently their lives are all popsicles. That's great for them, but what about us? Why do we focus on the bad more than the good, the poopsicles more than the popsicles? I'm hoping the gratitude journal will help me focus on the positives and less on the negatives so here goes. Today I'm grateful for the following three things. 1. Listening to my daughter help my son practice piano. 2. That my husband regularly texts me throughout the day. 3. That my local bookstore sold out of their copies of Losing Beauty and ordered more. That wasn't so hard. I promise! Now I'm really hoping you'll leave me comments with the things that make you grateful. What's your popsicle today? I like the idea of writing down things you are grateful for. I typically save this sort of exercise for when I am having a no good awful terrible day. When all I can see is the bad I have to dig around and find my good. I really like the idea of finding the good on a good day as well. The good is just as important on the good days. - I am grateful for the fact that I have the PTO to take a sick day when I am sick. - I am grateful for a husband who will wake up at 4am when I am ill and lay in my spot in bed so that when I crawl back in, cold and miserable, my spot is warm and toasty and welcoming. - I am grateful for friends who will always find ways to help out without hurting anyones pride by making acts of kindness look like charity. Hey that did make me feel better. Like you, I too often focus on poopsicles (love that word btw)! It's blogs like yours that encourage me to be positive that I'm truly grateful for as well as my daughter squirming on my lap even when I'm trying to type and a hot bowl of oatmeal! You always crack me up! 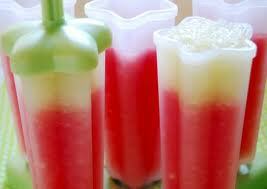 I love the 'poopsicles' vs 'popsicles' reference,since life is an equal-opportunity dealer of 'sicles'! That made me think of Bertie Botts Everyflavor Jelly Beans - you might get Butter-rum or you might get Booger! (ew.) It's how you handle the surprise that is the whole point. It looks like you and your family handle surprises well! Beylit, I love that list! Brianna, I'm so glad you're being positive. Not easy with a little one squirming in your lap while trying to read. Connie, great analogy. Maybe we should call it the jellybean moment? I'm grateful that I wasn't born mentally retarded. I'm grateful that my parents weren't complete idiots. I'm grateful that I went to college and got a degree. 1) That both my husband and myself got to see our daughter give her Jupiter presentation today at school--and her brother even came in from his class for it. Can you say family togetherness? 2) That I survived Brownies today and even had some fun. 3) That my kids and I had two blissful hours to have tea at our fave place AND take a drive in the country. 4) That I finished my edit and I *think* my book might be the book it was always meant to be. I hope. Please. Pretty please. 5) That I get to have dinner with my husband in a few and maybe even watch ten minutes of a movie before we crash. OK, I don't have the poopsicle problem clearly. Actually, I've been making daily gratitude lists since I was 8 and went for a sleepover at my best friend's house and was suddenly called upon to have my prayers heard--aloud! Only problem was--my parents weren't the praying kind. So I improvised. And I guess I have been ever since. I'm currently doing a gratitude project. I've blogged about it several times on my blog. The short version is that I begin and end my day with gratitude. I have a gratitude meditation every morning and one thing from that meditation is my first Facebook status of the day. I end my day by listing things in a private gratitude journal. That journal is where I can be repetitive, where I can be highly personal, etc. The idea behind this project was to re-connect with the positive in my life because I felt like I was losing site of it. I'd kept a gratitude journal several years ago, so the concept wasn't totally new to me. I've found it an interesting and enlightening project! I think any of you focusing on gratitude will find it makes your life just a little bit better! Welcome to the blog Michael! Joanne, thanks for stopping by! Snow on the ground sounds delightful. TL, I love the idea of making the gratitude journal more private! You can't go wrong with these three items! I love to see my oldest help my youngest. We just started them in piano lessons. Better than seeing them fight! I Love this idea! I'm afraid my hubby and I would have poopsicles every day. I think I might try this at dinner. Also, does anyone local carry signed copies of your book? Great post. Lots of food for thought. Although there are days (like yesterday), that I see the poopsicles in life, for the most part, I am grateful for all I've been given. I am grateful that my three sons are healthy and smart, my husband is still smitten with me, even after twelve years together, and last but not least, I'm grateful for the opportunity to pursue my writing full time. There are lots of other things I recognize throughout the day. Whenever they come to mind I say a silent prayer. I love the idea of doing this but for a completely different reason. I think our memories play tricks on us, but if you have it documented, you can notice patterns--go back and notice the things that change what you notice or care about. On a side note, you are my second blog today with poop in the title... This makes me giggle. I like the poopsicle/popsicle idea. p.s. congrats on the local bookstore selling out of Losing Beauty and ordering more! I am smiling after reading your blog and all of the comments that followed. I don't know if that was an intended side-effect...but how neat that it happened! Gratitude is such an amazing restorer of peace to the soul. I was away for two weeks recently and returned home grateful to live in the little cottage I was desperately wanting to leave. I am also grateful to have met a new friend who is gentle and kind and with whom I have many things in common. I am also grateful that she has a second horse and that we can ride together and share looking after them. And I am grateful that the horse I ride trusts me to remove the ticks that plague them at this time of year and shows appreciation for my efforts. 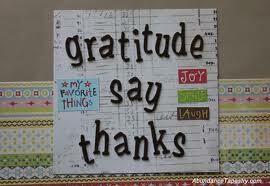 Thank you for a wonderful post and for reminding me to continue with my gratitude journal. Happy New Year to you.